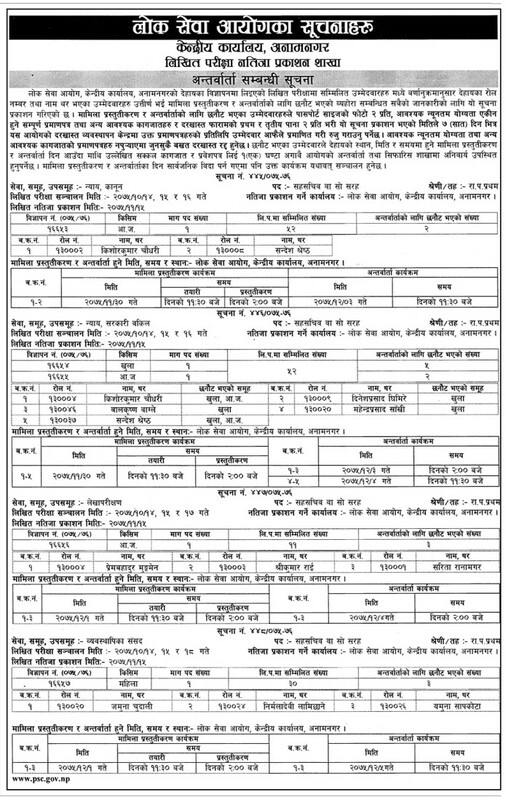 Public Service Commission (Lok Sewa Aayog), Central Office, Anamnagar has published written exam result and interview notice for various position. Selected candidates are called for interview in the given schedule along with necessary documents and and admit card.Selected candidates should be present with necessary documents within Falgun 28, 2075 (March 12, 2019) at the application management center. Applicants should be present 1 hour before their interview time.